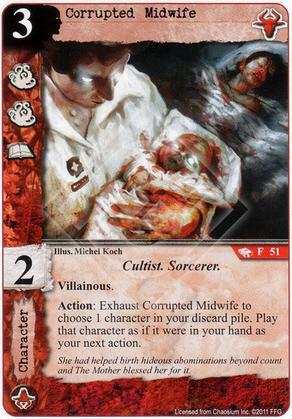 Flavor Text: She had helped birth hideous abominations beyond count and The Mother blessed her for it. Do you still have to pay its cost? To play the card? Yes. Midwife just lets you play the card from a different location, you still have to pay the cost, have a faction match on the domain, meet any Steadfast or Loyal requirements, etc... Everything is just like normal except the card can be played from discard instead of hand.